Cancelled on September 23, 2015 due to insufficient enrollment to-date. This 2-day course is designed as an EMDR therapy skills refresher course for newly trained as well as experienced clinicians. The workshop is specially intended for clinicians trained in EMDR therapy who have not had the ability to practice EMDR to the comfort level they would like to have when working with clients. Often clinicians leave EMDR Therapy Basic Training workshops feeling confident and ready to treat clients. Due to a variety of reasons, clinicians may not have the opportunity to practice EMDR therapy at their work settings and lack confidence in their EMDR skills. This workshop is also perfect for the newly trained or experienced EMDR clinician who would like a refresher course to increase technical competence. Participants will learn the EMDR therapy approach, review the Adaptive Information Processing (AIP) Model, basic 8 Phase EMDR therapy protocol, 3-Prong Approach, and how to incorporate EMDR therapy into your practice. This workshop consists of didactic presentations, live demonstrations, supervised practicum, and case consultations to strengthen EMDR therapy skills and facilitate a greater treatment outcome. Research consistently demonstrates that fidelity to the 8 Phase EMDR treatment model increases the efficacy of EMDR therapy for clients (Maxfiield, 2003; Perkins & Rouanzoin, 2002; Greenwald, 1996; Wilson, 1995). Eligibility Requirements for Attendees. This workshop is limited to EMDR trained therapists who have completed EMDR Therapy Basic Training (Part 1 & Part 2, w/consultation) from an EMDRIA Approved trainer (to include the EMDR Institute and HAP/Trauma Recovery). Note: If verification of completion of the EMDR Therapy Basic Training cannot be obtained from the EMDRIA or EMDR Institute’s websites, participants will need to fax, mail, or e-mail a copy of the certificate of completion to the workshop sponsor: Brenda Rohren; Behavioral Health Resources, LLC; 7441 O Street, Suite 107; Lincoln, Nebraska 68510; Tel: 402.486.1101; Fax: 402.486.4342; brenda@bhr-llc.com. CEUs. Perhaps unique to this EMDR Therapy Boot Camp workshop is that 12 CEUs are available for alcohol and drug counselors through a contract with the Training for Addiction Professionals (TAP) program. (TAP is a NAADAC provider). Availability of other CEUs is described in the workshop brochure (to include 12 EMDRIA continuing education credits). The workshop has also been approved for criminogenic CEUs for Nebraska Registered Service Providers. REGISTRATION. Registration and workshop coordination is provided by the Training for Addiction Professionals (TAP) Program. Click on the button below to access the Online Registration link located on the left side menu of the TAP website. You will need to create an account by using your e-mail address and password, then select "Special Trainings." Registration is limited to 30 participants. EMDRIA Website. This event is also posted on the EMDRIA website. Click here for information. About the Trainer. 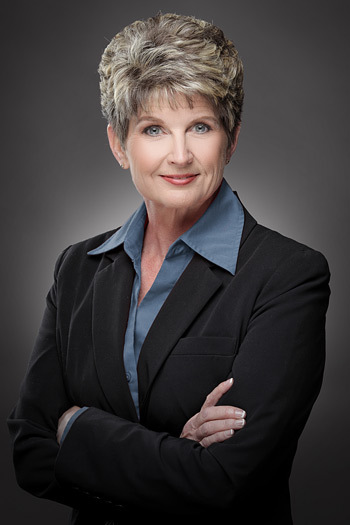 DaLene Forester Thacker, PhD, LMFT, LPCC is an EMDRIA Approved Consultant and Trainer. She is currently on the EMDRIA Board of Directors and holds the position of President-Elect. DaLene is the Director of the Advanced Education Institute (AEI). She also has a successful private practice in Redding, California where she supervises pre-licensed clinicians and specializes in the treatment of eating disorders and PTSD. In addition to her psychotherapy practice, DaLene is a CAMFT Certified Supervisor, an approved CEU provider with the California BBS, California Board of RN’s, EMDRIA, and CPA for Psychologists. For more information, call (530) 245-9221.